Motivation is the foundation all athletic effort and accomplishment. Without your desire and determination to improve your sports performances, all of the other mental factors, confidence, intensity, focus, and emotions, are meaningless. To become the best athlete you can be, you must be motivated to do what it takes to maximize your ability and achieve your goals. But when the weather is poor, sunlight is at a minimum, and riding conditions are less than ideal, what do you do? Keeping up the motivation to exercise on a cold winter day instead of curling up under a warm blanket on the sofa can be difficult. Sometimes lack of motivation rears its ugly head during these challenging times despite our best efforts to press on. Following are 5 different strategies to help you stay motivated to ride. Set your goals. This seems obvious but ask yourself, what do you want to accomplish in 2018? And when? How do you know you’ve reached your goals? Making SMART (specific, measurable, attainable, realistic and time-bound) goals not only boosts your chances of attaining your goals, but you also become a better cyclist in the process. The trick is to really dial those goals in. As in, a goal to consistently hitting heart rate zones or power zones for specific workout. Use cycling accessories that are available to you – as in power meters and /or heart rate monitors to provide objective feedback. Our post, The Best Training Aids to Launch into Spring Cycling, dives into the benefits of training with power. You may also want to check out our post, Heart Rate Training – What You Need to Know for our staff picks at Peak Cycles Bike Shop. Based on your goals, you can then get an action plan together by defining your training objectives. Make the most of your time. It all begins with time management. Scheduling your workouts in your calendar; shifting meetings and family obligations to early morning, late afternoon and early evening; and optimizing your lunch hour as ride time, are three areas that can assist in getting your scheduled training in during the daylight hours. Again, the idea here is to create a plan and stick to it. If you plan a ride during the daylight hours and miss it, then it creates stress on how to make that ride up. So, if you do, then night riding or riding on the trainer becomes your options. Be prepared in advance with a light system to ride at night and a trainer setup that works for you. If you are prepared, you are more likely to get your workout in rather than pass on it. Dial in your bike. Consider getting a bike fit. Yes, a bike fit. We’ve heard about them, talked about them, but somehow, most of us don’t get one. And why not? They say the quickest way to get faster on the bike is with a bike fit. Sure, fit impacts comfort but it also impacts technique which is crucial to preventing overuse injuries and how you ride. Meaning it directly affects how much power you can efficiently deliver to the pedals. Dialing in your body and your bike parts will keep you motivated as you discover how the new changes positively affect your time on the bike. Train your brain. We think of discipline as a form of training or exercising the brain but why not use the power of visualization to motivate yourself and accomplish you 2018 season goals? The post, The Power of Mental Suffering, offers key insights as to how thought creates a powerful reality. Commit to consistently cross training. Trade saddle time for gym time to gain core strength. The primary focus when it comes to strength exercises for cyclists is to train in a similar motion to cycling with lower and upper body, while increasing overall core strength and muscular endurance. Check out The Best Strength Exercises for Cyclists to get you started and also – to keep you motivated through the winter months. If after reading these suggestions you still find yourself unmotivated to ride during the Winter months, then consider doing a cycling year end review. How you reflect upon the past year has some bearing as to how you plan for the coming year. A cycling year end review offers insights to truly optimize your training and racing regimen. Some of those insights might spark a new level of motivation with you. Here’s to a rewarding cycling year in 2018! The weather has been amazing in Colorado! The warmer temps are beckoning recreational and competitive cyclist to ride! Enthusiasm is high; but, caution should be in order! Athletes can make early season training errors. Namely, taking on too much physical activity too quickly. Going too fast, exercising for too long, or simply doing too much of one type of physical activity can strain your muscles and lead to an overuse injury. Whether you are planning to ride a century, multi-day rides, race or aspire to longer or more frequent rides in 2017, monitoring your early season training sets the stage for a successful year ahead. From a training perspective, key points to keep in mind include training intensity, duration, and frequency. There are coaches and coaching plans to assist with specific and customized training. Or, you can create your own training program. Regardless of your approach, for precise bio feedback to align your training plan, you’ll need to use cycling accessories available to you – as in power meters and /or heart rate monitors. Early season training lends itself to “false” feedback. Meaning, because you may be fresh, your perceived effort on the bike may be low causing you to push too hard, too soon, and then training suffers later due to increased recovery time or even injury. By monitoring your efforts with specific data, you objectively know when you are pushing beyond your targeted indictors, as well as, when you aren’t pushing hard enough. This allows your body to adjust to increased training load over time and in a manner that meets your 2017 cycling season goals. Does your bike have cobwebs on it from non use during the winter months? Now is the time to dust it off, put some air in those tires, and do a thorough bike inspection. It seems simple enough but there are some critical areas to pay attention. What do you look for? Notice any bike parts that need to be replaced. Saddle injuries are the result of poor seat position, height, angle or design. While your saddle may look and feel fine, looks can be deceiving. Materials and composition deteriorate beyond what is visible. Also, neck, shoulder, and bike pain can result of an improper fitting bike. Handlebars, stems, and bike position all contribute to a rider’s stability, endurance, and safety. Make sure all is well before embarking on longer rides which could lead to lasting discomfort. How important are brakes? Obviously, a lot! When you don’t have them, or they aren’t working properly, then you know the importance of well maintained brakes for your road or mountain bike. Another important component to spring riding is checking out your wheels. Unquestionably, wheels matter! They impact ride quality, ease of pedaling, reliability, and functionality. Spring is a great time to upgrade bicycle components. With a little preparation and planning, your pre season bike maintenance and training can pave the way for a long, healthy, and enjoyable 2017 cycling season. Stop by Peak Cycles Bicycle Shop to pick up the bike parts you need to launch your best cycling season ever! There are so many things to pay attention to in order to prepare for a race. As a competitive cyclist, you have to be savvy in a number of different key areas such as cycling nutrition, bike maintenance, repairing or replacing bike parts, and knowing how to use various cycling accessories such as power meters and heart rate monitors to maximize performance. If you also have a full-time job, it’s a lot to think about! In this article, we’re going to help take the load off your mind by focusing on a very specific aspect of race prep – eating before, during and after a race. Hopeful you can glean some useful information for you upcoming competition. Keep in mind that eating changes depending on the distance and intensity of your race/workout. Not all suggestions may apply. We typically find lots of articles that talk about what you should eat after a race, but not as many about what you should eat before. The key is, if you are already eating healthy and balanced meals, you probably don’t have to change much before a race. One thing you want to make sure you are including in your pre-race diet the night before a race are carbohydrates. Carbs store glycogen in your muscles, which will be burned during the race the next day. Foods like pasta, breads, and rice are carb-heavy that could be on your dinner plate. Try to keep protein dense foods at a minimum. If you have a long or particularly intense race the next day, you can do what’s called “carb-loading.” Cycling Tips explains that carb-loading typically takes place 2 days before your race. Male athletes can typically store about 1,500 to 1,900 calories of carbs in the blood, liver and muscles combined. And after two hours of exercise, glycogen levels will be depleted. Cycling Tips recommends eating 10 grams of carbs per kg of body weight daily in the two days before the race. There is no formula that stipulates how much you should eat during a race because different body types and habits cause athletes to have different eating patterns. Some of the variables that determine how much athletes should eat include: lean body mass, metabolic efficiency, intensity, race distance, and environmental conditions. CoachLevi.com offers some valuable insights into what cyclists might eat during rides at varying distances and intensity. Right after a race you want to digest simple carbohydrates such as bananas, a bagel, or maybe even a slice of pizza. These things are often offered at the end of a race. Eating caloric-dense foods will restore your glycogen levels in your liver and muscles and getting some protein will help your muscles recover. Stay away from the really fatty foods and foods high in protein. We know that some of you may be craving potato chips and whole pizzas, but its not the best thing for you. See the article, “Maximize Your Post Race Recovery“ from Training Peaks for more information. For more information, don’t hesitate to visit our website or stop into our store – Peak Cycles in Golden, Colorado. We have tons of advice, as well as bikes, bike parts, cycling accessories, and cycling apparel. For those of you preparing for endurance trail races, we know that you are getting ready to ride long, get dirty, and have the time of your life. And while some you may have trained through the winter months, many have not. So we warn you winter sofa spuds that the alluring call of gorgeous spring days will tantalize you to ride too hard, too fast. This could lead to injuries, poor performances, and an overall unhappy 2016 cycling season. 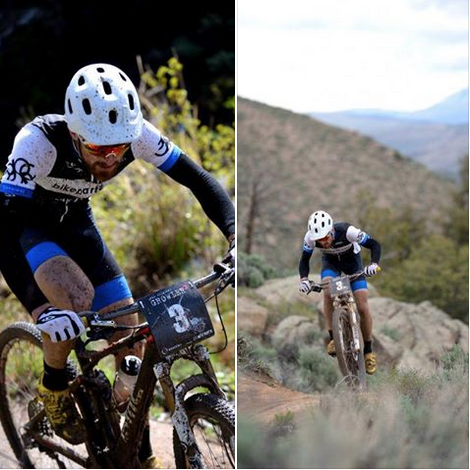 Endurance trail cyclists are on the cusp of some of the most favored mountain bike races in Colorado and the American west — races like Rocky Mountain Endurance Series, Thaw Massacre, 18 Hours of Fruita, Desert RATS Classic, 12 Hours of Mesa Verde, and The Half/Original Growler. And being success in these races requires you to closely monitor early season training. Regardless of your approach, for precise bio feedback to align your training plan, you’ll need to use cycling accessories available to you – such as power meters, GPS computers, and/or heart rate monitors. Early season training lends itself to “false” feedback. Meaning, because you may be fresh, your perceived effort on the bike may be low causing you to push too hard, too soon. As a result, your training suffers later due to increased recovery time or even injury. By monitoring your efforts with specific data, you objectively know when you are pushing beyond your targeted indictors, as well as when you aren’t pushing hard enough. This allows your body to adjust to increased training load over time and in a manner that meets your 2016 cycling season goals. Guess who is rocking the coolest bikes, the best bike parts, and crushing it in Colorado’s toughest road and mountain bike races? You guessed it – Peak Cycles Racers! We’re super proud of Peak Cycles Bicycle Shop Sponsored Cycling Teams including Peak Cycles XC, Gravity and BMX teams, Colorado School of Mines, The Golden High School mountain bike team, Tough Girl Cycling, Twin Peaks Racing, and The Colorado Collective. Early season success has come easily to these athletes. Countless podium finishes and successful racing has caused many followers of the teams to wonder what are the secrets to combining racing and training for a successful summer cycling season? What are these athletes doing that we all can do to improve our cycling performance? For starters, there are many different approaches to training and racing. Typical training weeks may vary in distance, intensity, and training hours. Some athletes prefer a structured approach to their racing season; whereas others prefer to keep it casual by mixing in shop rides and even front range bucket list rides to test fitness and keep training fresh. But at a minimum, there are the basics which pretty much everyone follows. This includes ongoing bike maintenance, repairing and/ or replacing bike parts, continued bike nutrition while riding, and a strong focus on hydration on and off the bike. It sounds simple enough but a properly fit bike – that is ready to ride – makes cycling fun, easy, and keeps you riding! Regardless of your approach, one of the winning secrets for training and racing is using tools for bio feedback. Cycling accessories, as in power meters and /or heart rate monitors offers bio feedback monitoring of your efforts with specific data so that you objectively know when you are pushing beyond your targeted indictors, as well as, when you aren’t pushing hard enough. While it’s not a secret, and we hinted at it earlier, an often overlooked component of successful racing and training is a bike fit. If you haven’t ridden much this Spring, now is the best time for a bike fit. Why? Because your body is unaccustomed to the riding position. You have an opportunity to optimize your position and make needed upgrades to your road bike or mountain bike. There are countless suggestions that we can offer for training and racing tips but nothing can replace the passion, discipline, and love of the sport that our staff and team riders embrace. For more winning race and training secrets, stop by the Peak Cycles Bicycle Shop and ask our staff for ideas and suggestions. Also, keep current by following our Facebook page for updates. Happy riding!